Our hosts who are helping Captain Alex this month are M. Pax, Tracy Jo, Patricia Lynne, Rachna Chhabria, Feather Stone, and Randi Lee! 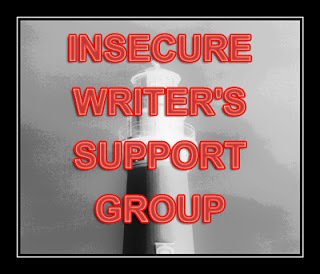 I’m not feeling insecure this month, but as I shared on the IWSG site on Monday, comes the time when we have to make decisions on how to advance our writing careers. After some thought, I’ve settled on a few things, which include being part of a Christmas box set and placing a book on NetGalley in another couple of months. I’m also doing what I should be doing alongside this other stuff, which is writing the next few projects. I hope you’re making strides along the path you want to go and that you’re putting a plan in place to help you meet your goals. What are your next steps on the writing or business front? Part of a boxed set for Christmas is cool! What a fantastic and fun thing to do! Go you! And, best of luck!! Good luck with the box set and with NetGalley. I always admire how well you plan and map out your career. We make decisions and set goals or go home. NetGalley is expensive. You must be part of a group. I'm just trying not to fall off the step I'm on right now but I have an idea what I want to do next. You've made great plans. All success! My plans have turned into dust bunnies so far this year. A box set for Christmas sounds like a good idea. It nice to not feel insecure for once! I admit, it's great when you can make decisions for your writing career and goals. Sometimes you have to wait on publishers and agents to make those decisions. It's always nice having a month where you're not feeling insecure about things. Enjoy it. A plan is definitely a good idea. Glad yours is progressing. It's great to hear you're making strides, Joy. I'm not, but that's okay too. Happy IWSG. Good for you for having a plan! My plan is to finish drafting my trilogy. I have steps after that, but that's the biggest right now. I am planning on changing a fantasy story I last year and let part of it take place in Jamaica. Glad you have plans Jo, just keep moving forward. I haven't made too many strides in writing, but I do have some goals that are coming to fruition in other aspects of my life. It's all very exciting. Being part of a Christmas boxed set is a great idea! Good luck with all of your exciting plans! Good luck with box set, nice you're not feeling insecure! Making rounds again, though I've not left a message each time I've visited, thought I would again today. Joy, you are sooooo good when it comes to the business/marketing side of things. A Christmas boxed set... great idea!